24/10/14 -- Soycomplex: Beans closed lower on the day, but higher for the week. It was a choppy session, in which front month Nov 14 beans hit a six week high above $10/bushel, before ultimately retreating to close within a cent of the lows of the day. That could be viewed as negative technically. It would also seem that producer selling was evident, with $10/bu being a trigger point for many. The trade is expecting good progress to have been made with the US harvest this week. The USDA will report on that on Monday night. As of last Sunday the harvest was 53% complete, look for that to be in the upper 60's done this time round. MDA CropCast raised their forecast for the 2014 US soybean crop by 44 million bushels to a record 3.894 billion yesterday, although not the highest estimate in the ring. The USDA were at 3.927 billion themselves earlier this month. I read that the USDA have only increased US soybean production estimates in both September and October seven times since 1990, including this year, and that on all the previous six occasions they went on to increase again in November. That would suggest that a further hike might be on the cards again next month. Production prospects in Brazil however are declining, according to Oil World this week. Certainly at the very least their 2015 harvest is going to be later than originally expected/hoped for. MDA CropCast though left their forecasts for output in both Brazil and Argentina in 2104/15 unchanged on a week ago at 93.5 MMT and 56.65 MMT respectively. Both would be records. The Argentine Ag Ministry estimated 2014 soybean plantings there at 20.3 million ha, up 2.5% versus 19.8 million a year ago. Sowing of that is now just about underway. Planting in Brazil is slow, awaiting rain, but the forecast is promising. "The GFS model continues with a wet forecast in Mato Grosso, and the tropics at large. Along with heavy rain would come moderating temperatures. Strong showers would eventually spread into South Brazil toward month end," said Martell Crop Projections. Nov 14 Soybeans closed at $9.77 1/2, down 15 3/4 cents; Jan 15 Soybeans closed at $9.83 1/4, down 16 3/4 cents; Dec 14 Soybean Meal closed at $350.20, down $2.20; Dec 14 Soybean Oil closed at 32.39, down 28 points. For the week though front month beans were still up 25 3/4 cents, with meal up almost $20 and oil 37 points higher. Corn: The corn market closed the best part of 7 cents lower on the day, but still higher for the week. The USDA announced 101,600 MT of US corn sold to unknown for 2014/15 shipment under the daily reporting system. The market is looking for the 2014 US corn harvest to have advanced to around 45% done when the USDA report on that on Monday night. A week ago it stood at only 31% complete. "As producers roll through their soybean crop in the eastern belt and allow the corn crop to dry down in portions of the western belt I am not convinced harvest progress on the corn crop has been all that great this week. Additionally, I am not convinced the producer that has made progress is a willing seller. However, the prospect of better harvest progress next week was a negative factor in today’s trade," said Benson Quinn's Brian Henry. Is this simply deferring the bulk of the harvest pressure, or are the seasonal lows already in, that is the six million dollar question. It is certainly not unusual to see US corn prices remain under pressure right through the last quarter of the calendar year, indeed in two of the last three years the lows haven't been put in until November and December. So Societe General could indeed be right when they this week said that there could still be time for "one last leg down in corn prices". The US corn belt weather forecast retains a friendly outlook for the next 10-14 days. Russia said that their 2014 corn harvest was three quarters of the way through, producing a crop of 9.1 MMT to date. Ukraine said that their corn harvest now stands at 16.4 MMT off 65% of the planned area. The Argentine Ag Ministry forecast corn plantings there this year at 5.5 million hectares, a near 10% decline versus a year ago, and 100k ha below their previous estimate. There's a "too close to call" weekend election looming in Brazil, which Agrimoney say could "prove crucial for the future of world farming". The two contenders are President Dilma Rousseff and Senator Aécio Neves. The Buenos Aires Herald say that this is "a race that combines every conceivable ingredient: a woman vs. a man, a socialist vs. a conservative, a defender of the Mercosur vs. a champion of opening up trade." Essentially a Rousseff victory is seen keeping the Brazilian real under pressure - and thereby making them more competitive in the export market. A Neves win is likely to have the opposite effect. Maybe the uncertainty of this was a factor behind some pre-weekend profit-taking? Dec 14 Corn closed at $3.53, down 6 3/4 cents; Mar 15 Corn closed at $3.66 3/4, down 6 3/4 cents. For the week, Dec 14 corn was up 5 cents, with Mar 15 adding 5 1/2 cents. Wheat: The wheat market closed lower, pressured by falling corn and soybeans. Even so Dec 14 Chicago wheat did still manage a fourth consecutive weekly gain, even if it was only by less than a couple of cents. The Argentine Ag Ministry raised their forecast for the 2014/15 wheat planted area there from 4.5 million hectares to 4.6 million. A Bloomberg survey pegged the Australian wheat crop at 23.2 MMT, which is 1 MMT below the current ABARES estimate. There were apparently unconfirmed reports of EU feed wheat trading into the US south east coast at levels below those of rail corn. Iraq are tendering for 50 TMT of hard wheat for Dec-Feb arrival, but frequently buy much more. The Ukraine Ag Ministry said that their 2014 wheat harvest totalled 23.7 MMT in clean weight. Russia said that they'd harvested 61.1 MMT of wheat in bunker weight off 94.5% of the expected area. Early strength in wheat appeared to be tied to reports that Russian analysis firm SovEcon were saying that the 2015 grain crop there could already be in trouble, and serious trouble at that. They suggested that final grain production next year could drop below 90 MMT, and wheat output under 50 MMT. The reasons are a combination of lack of rainfall (at least until very recently), which may have allowed autumn plantings to progress in a timely manner, but have hindered crop development meaning that plants are "extremely week" heading into winter. Russian temperatures are expected to be well below normal (and also well below freezing) across almost the entire country this weekend. The weakness of the Russian rouble, caused by the problems between them and the West over sanctions and Ukraine, also means that spring plantings and the money to purchase inputs next year could be severely impacted. Russian growers are also hoarding wheat rather than selling it, as a hedge against this currency weakness, it is said. Not everybody has thrown in the towel quite yet on Russia's 2015 crop prospects though, with Rusagrotrans issuing a preliminary grain production forecast for next year of 96-104 MMT only yesterday. If Russian growers do continue to sit on their grain as a hedge against the falling rouble, then carryin to 2015/16 will also be higher of course. The weekly commitment of traders report shows fund money reducing their net wheat short by around 9k contracts for the week through to Tuesday night. Dec 14 CBOT Wheat closed at $5.17 3/4, down 9 cents; Dec 14 KCBT Wheat closed at $5.93 3/4, down 11 1/2 cents; Dec 14 MGEX Wheat closed at $5.67, down 4 cents. For the week Chicago wheat still managed a small 1 3/4 cent gain, with Kansas down 8 cents and Minneapolis losing 3 cents. 24/10/14 -- EU grains closed mostly lower, and at or near session lows in wheat and rapeseed, at the end of a very choppy session. Good early gains were completely wiped out in late in the day selling after US grains turned red in end of week consolidation. Wheat on both sides of the Channel, plus Paris corn and rapeseed all still managed to post weekly gains however. The day ended with Nov 14 London wheat down GBP0.20/tonne at GBP119.80/tonne, Nov 14 Paris wheat was down EUR4.50/tonne at EUR165.75, Nov 14 corn was EUR1.25/tonne lower at EUR144.50/tonne and Nov 14 rapeseed fell EUR0.75/tonne to EUR323.00/tonne. For the week, London wheat was still GBP3.35/tonne higher though, with Paris wheat adding EUR5.75/tonne, corn EUR2.00/tonne and rapeseed gaining EUR1.00/tonne. Much of the early excitement surrounded warnings from SovEcon that Russian crop prospects for 2015 are already looking shaky. Whilst the Russian Ministry say that autumn winter grain sowing is now 98.5% complete on 16.3 million hectares (compared to 13.8 million this time a year ago), SovEcon say that the condition of these crops is "extremely weak". A hard winter could therefore lead to much higher levels of winterkill than normal. Meanwhile the weakness of the rouble means that domestic prices of spring seed and other inputs are rising rapidly, which could also have a negative impact on spring cropping plans, and fertiliser/pesticide applications next year. This currency weakness is also encouraging farmers to hold onto their 2014 crops as a hedge against the falling value of the rouble. SovEcon said that grain production in Russia next year could ultimately fall below 90 MMT, with the wheat crop slipping under the 50 MMT mark. The Russian Ministry say that the 2014 grain harvest is 94.4% complete on 42.6 million hectares, producing a crop of 106.7 MMT to date. Wheat accounts for 61.1 MMT of that total, with barley adding an extra 21 MMT. Both those harvests are almost done. There's still a quarter of this year's corn still out in the fields though. That harvest total to date stands at 9.1 MMT. The Urals region is the main area left with a large area still unharvested, with almost 27% of crops there still to be cut compared to around 9% a year ago. Nov 14 London wheat hit GBP122.00/tonne earlier in the session, a level not seen since the last day of August. Nov 14 Paris wheat touched GBP172.00/tonne, a near 7 week high. Although the market ultimately gave up all of these gains, these Russian jitters are unlikely to have gone away. The market will be acutely aware that Russia has seen two crop disasters in the last 5 years, both of which have largely been responsible for sending London wheat to over GBP200/tonne. EU soft wheat exports meanwhile continue to beat even last season's record pace. Brussels issued 646 TMT worth of soft wheat export licences this past week, taking the cumulative marketing year total to 9.1 MMT, an 8% rise compared to a year ago. Remember that the EU Commission sees final soft wheat exports down by almost 17% in 2014/15 versus last season's record. Societe General forecast French soft wheat sowings at 4.98 million hectares, with those in Germany at 3.23 million, for the 2015 harvest. Both figures are almost identical to plantings last year. FranceAgriMer said that the 2014 French corn harvest was 38% complete as of Monday, double what it was the previous week, and well ahead of only 14% done this time a year ago. Early yield reports are generally very good. They said that the French winter wheat crop is 55% planted versus 34% a week ago and 51% a year ago. The crop is 34% emerged against 18% last week and 31% a year ago. The French winter barley crop is 80% sown, up from 55% a week ago and 5 points ahead of this time last year. 23/10/14 -- Soycomplex: Beans closed sharply higher, and near the highs of the day, with fund money estimated as being a net buyer of around 15,000 lots during the session. Very strong weekly export sales of 2.17 MMT were around double what the trade was expecting. China took 1.7 MMT of that total. Exports of almost 1.9 MMT were mostly for China (1.3 MMT) too. The USDA also reported the sale of 118 TMT of US soybeans to China under the daily reporting system. The delayed US harvest is keeping the front end tight. "A weak disturbance is tracking across the heartland this morning, expected to produce light rainfall. A stronger storm is predicted Sunday night- Monday producing heavy, soaking rains to Minnesota, Wisconsin, Nebraska and South Dakota, 0.75 – 1.2 inches. Unseasonably warm temperatures would continue 7-10 F above normal in the heartland," say Martell Crop Projections. Meanwhile things are finally looking up in Brazil. "The rainy season may be finally beginning in Mato Grosso, Brazil’s top soybean state. October conditions have been unusually dry, increasing the soil moisture deficit to 75 millimeters (3 inches). Recurring showers are predicted for the next several days increasing field moisture for soybean planting. Temperatures would moderate, backing off to 95 F, from 103-105 F previously," they add. Nov 14 Soybeans closed at $9.93 1/4, up 30 1/2 cents; Jan 15 Soybeans closed at $10.00, up 30 1/4 cents; Dec 14 Soybean Meal closed at $352.40, up $14.40; Dec 14 Soybean Oil closed at 32.67, up 53 points. Corn: The corn market posted decent gains. Weekly export sales of just over 1 MMT beat trade expectations of 650-800 TMT. Exports of 676,700 MT were primarily to Mexico (194,400 MT), Colombia (111,100 MT), Japan (106,900 MT), Venezuela (64,000 MT) and Peru (50,500 MT). Russia said that it had harvested 8.9 MMT of corn off 2 million hectares, or 74.2% of the planned area. Yields are averaging 4.55 MT/ha versus 5.28 MT/ha a year ago. Ukraine said that they'd harvested 16.36 MMT of corn off 65% of the planned area. The Argentine Ag Ministry forecast 2014 corn plantings there down 9.8% at 5.5 million hectares. Plantings are 24% complete versus 19% this time a year ago. "The work is carried out with good soil moisture conditions, which are also suitable for crop emergence," they said. The Argentine government authorised an extra 500 TMT of corn for export yesterday, meaning that they've now issued export licences for almost 15 MMT of corn this season. Delayed full season soybean planting in Brazil is likely to have a knock-on effect for safrinha corn yields next year it is thought. China were said to have imported 539,000 MT of DDGs in September, down 11% from August. Turkey bought 5,000 MT of Russian origin corn. Dec 14 Corn closed at $3.59 3/4, up 6 3/4 cents; Mar 15 Corn closed at $3.73 1/2, up 6 1/2 cents. Wheat: The wheat market closed mostly a little higher, in sympathy with the other pits. Unlike corn and beans though, weekly export sales of just under 300 TMT failed to impress. Actual shipments of 431,700 MT were also down 11 percent from the previous week and 21 percent below the prior 4-week average. The Argentine Ministry estimated the wheat area there at 4.6 million hectares, up 26% on a year ago. The harvest is now underway in one or two places, they said. The Buenos Aires Grain Exchange see Argentine wheat plantings at half a million hectares less than that. They forecast production up 14% this year at 11.5 MMT. They say that the harvest is 2.4% complete. 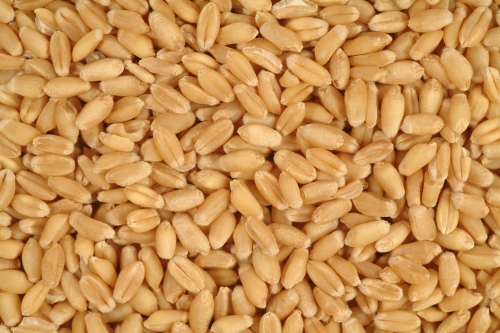 Japan bought 109,715 MT of US/Australian milling wheat for Nov-Dec shipment. Turkey bought 3,000 MT of Russian origin wheat. Israel bought 5,000 MT of Ukraine wheat for November shipment. Taiwan are tendering for 41,250 MT of US milling wheat for December shipment. The Ukraine Ag Ministry said that winter wheat plantings there were now 97% complete on an area of 6 million hectares. Russia said that it's winter grain area was 98.4% complete on 16.2 million hectares. The 2014 Russian wheat harvest is 94.4% done at 61 MMT in bunker weight, they added. Dec 14 CBOT Wheat closed at $5.26 3/4, up 4 1/2 cents; Dec 14 KCBT Wheat closed at $6.05 1/4, unchanged; Dec 14 MGEX Wheat closed at $5.71, up 2 1/4 cents. 23/10/14 -- EU grains closed mixed, but mostly higher. Front month Nov 14 Paris wheat closed at a EUR0.75/tonne premium to the Jan 15 contract. A week ago, and the day before margin calls on short positions in it were doubled, it was at a discount of EUR4.50/tonne. As contract expiry draws nearer (on Nov 10) we can expect to see further erratic behaviour from the front month. The day ended with Nov 14 London wheat up GBP1.00/tonne to GBP120.00/tonne, Nov 14 Paris wheat closed EUR2.50/tonne firmer at EUR170.25/tonne, Nov 14 Paris corn was up EUR2.75/tonne to EUR145.75/tonne, whilst Nov 14 Paris rapeseed was EUR0.50/tonne higher at EUR323.75/tonne. Following much criticism, Euronext announced today that its milling wheat futures benchmark will adopt new specifications taking effect with the September 2017 contract month. The new fixed specification will be a minimum of 11% protein (on a dry matter basis), hagberg falling numbers of a minimum 220 and a minimum bushel weight of 76kg/hl. "Euronext also welcomes the decision that the accredited delivery silo operated by Socomac will adopt exactly the same 2014 protein content and Hagberg falling number requirements in its General Terms & Conditions as Sénalia for wheat for the 2015 and 2016 crop years," they also said. The Ukraine Ag Ministry forecast winter grain plantings at 7.5 million hectares, including 6.2 million ha of wheat. They said that planting of the latter is now 96% complete. APK Inform estimated that around 5% of crops in the troubled Donetsk region of Ukraine will go unharvested, along with around 25% of the area around Lugansk. In total that equates to production of around 530 TMT, they said. They also figure that around 25-30% of the sunflower crops in these areas will remain unharvested, the equivalent of around a further 3-400 TMT. Rusagrotrans forecast Russia's October grain exports at 3.5-3.6 MMT, up from a previous estimate of 3.3-3.4 MMT, and a record for the month. They said that Russia had already shipped 1.78 MMT of grains in the first half of the month, of which 72% was wheat, 18% barley and 9% corn. Whilst winter grain planting in Russia is nearing completion, concerns remain that earlier dryness means that crops are under-developed heading into winter dormancy. A sharp cold snap over the next few days, with temperatures forecast to dip as low as 20-25 F even in southern parts of the country, could cause some damage. "Crops have not yet reached the stage of development in which they can face these temperatures easily," said Agritel. MDA CropCast raised their forecast for the EU wheat crop by 2.5 MMT from last week, also upping corn production here by 2.1 MMT and increasing their outlook on European barley output by a similar amount. They also forecast increases for Russian barley (+2.9 MMT) and corn (+0.7 MMT), along with a smaller rise in wheat (+0.6 MMT) and barley (+0.4 MMT) in Ukraine. They seemed relatively unmoved by suggestions that all is not well with the Australian wheat crop, leaving their production estimate unchanged from a week ago at 24.04 MMT. Widespread rains in WA have slowed wheat drydown somewhat, they said. Meanwhile drier weather elsewhere in the country has been favourable for crop maturation, they added. With the US harvest running late, Societe General said that there could still be time for "one last leg down in corn prices" if and when the pace picks up. Any downside would however be short-lived, citing strong demand and reduced plantings in South America, they said. Good yield reports coming from the French harvest could eventually boost corn production there past the 17 MMT mark, it is thought. That would be a record harvest for them, further stretching logistics and storage capacity already weighed down by the large and varied quality of the 2014 wheat crop and sluggish exports. 22/10/14 -- Soycomplex: Beans closed with small losses, despite the USDA reporting the sale of 419 TMT of US soybeans to China, along with 113 TMT to unknown destinations. Talk of meal sales being switched to cheaper South American origin material was bearish. Chinese customs data puts September bean imports at just over 5 MMT, a 7% rise on a year ago. Of that total 3.4 MMT came from Brazil, 980 TMT from Argentina and nothing from the US. They also imported 495 TMT of rapeseed, more than double the volume shipped in in September 2013. Oil World cut 3 MMT off it's Brazilian 2014/15 soybean production estimate to 89 MMT, although that's still a record it's not the huge leap that many had been expecting. Rains are finally on the way for Mato Grosso it would seem. "Mato Grosso is expected to receive very heavy rainfall later this week, 2-4 inches, with a strengthening monsoon circulation. This would be first important rainfall in October. Scattered showers are expected tomorrow in the leading soybean state. Without any significant rainfall, October temperatures have become very hot, Mato Grosso’s Center West area frequently reporting 40 C. Occasionally temperatures have reached 42 C (107 F). Once the rainy season begins in earnest, temperatures would moderate with increased cloudiness and evaporative cooling," said Martell Crop Projections. Trade estimates for tomorrow's weekly export sales report for beans are around 1 MMT. Nov 14 Soybeans closed at $9.62 3/4, down 1 1/2 cents; Jan 15 Soybeans closed at $9.69 3/4, down 2 cents; Dec 14 Soybean Meal closed at $338.00, down $4.90; Dec 14 Soybean Oil closed at 32.14, up 38 points. Corn: The corn market slipped 2-3 cents lower on a general lack of news. Weekly US ethanol production rose to 896,000 barrels/day from 885,000 barrels/day the previous week. Russia's corn harvest is said to be 73.6% done at 8.9 MMT, with yields at 4.56 MT/ha versus 5.29 MT/ha a year ago. Taiwan's MFIG bought 60,000 MT of Brazilian corn for December shipment. Chinese customs data shows that they only imported a little over 20 TMT of corn in September. Jan-Sep imports now stand at 1.6 MMT, around the same as a year previously. There's talk of China looking to buy 40 MMT of corn on the domestic market for state stocks. US weather forecasts are mostly dry for the next week, which should allow good harvest progress to be made. "Following hot temps and heavy winds light rains in the western belt overnight and into today aren’t going to cause many delays. Look for favourable temps over much of the corn belt. The potentially wetter conditions are advertised in the second week of the forecast," said Benson Quinn Commodities. Full season corn planting in Brazil should resume if and when the advertised delayed start to the rainy season arrives in the next few days. There's already talk though that delays in planting soybeans will lead to a reduction in second crop corn. Trade estimates for tomorrow's weekly export sales report are around 650-800 TMT. Dec 14 Corn closed at $3.53, down 3 cents; Mar 15 Corn closed at $3.67, down 2 1/2 cents. Wheat: The wheat market closed mixed. There's talk of Argentina releasing an extra 400 TMT of old crop and 1 MMT of new crop wheat export licences. Much of that will probably end up in Brazil. Russia's wheat harvest has reached 94% complete at 60.9 MMT. Siberia is 92% done and there's talk that it may not get much higher than that with snow already falling there. There's also a suggestion that some crops in Kazakhstan will go unharvested this year with the sudden arrival of winter. The harvest there is said to be 86.4% done at 15.9 MMT on 13 million hectares. A harsh cold snap is on the cards for Russia this weekend. There are already rumblings that winter crops in Russia are poorly established and that leaves them vulnerable to higher than normal levels of winterkill. It's being suggested that current conditions in Russia are similar to late 2009. Wheat production in the summer of 2010 went on to be only 41.5 MMT on the back of a hard winter followed by a late spring/early summer drought and soaring temperatures. That event sent global wheat prices soaring you will recall. Adverse weather conditions are also having an effect on the Australian wheat crop this year, with some forecasting production as low as 20-21 MMT. China imported 133,647 MT of wheat in September, an 81% fall versus a year previously. Jan-Sep imports are just over 2.8 MMT, which is similar to the same period in 2013. Trade estimates for tomorrow's weekly export sales report are around 400-500 TMT. Dec 14 CBOT Wheat closed at $5.22 1/4, up 3 cents; Dec 14 KCBT Wheat closed at $6.05 1/4, up 3 cents; Dec 14 MGEX Wheat closed at $5.68 3/4, down 1/4 cent. 22/10/14 -- EU grains finished higher across the board, with both London and Paris wheat managing their best closes in 6 weeks. However "although particular factors are lending support to prices, markets are very unlikely to see a significant rally," said the HGCA. The day ended with Nov 14 London wheat up GBP2.50/tonne to GBP119.00/tonne, Nov 14 Paris wheat ended EUR3.75/tonne firmer at EUR167.75/tonne, Nov 14 Paris corn rose EUR0.50/tonne to EUR143.00/tonne, whilst Nov 14 Paris rapeseed was EUR3.00/tonne higher at EUR323.25/tonne. The spread between Nov 14 and Jan 15 Paris wheat narrowed for a third day as more nearby shorts are squeezed out. Even so, the open interest in the front month is still large given that contract expiry is only 2 1/2 weeks away. A partial success for France in last night's Egyptian tender was supportive, even if they did have to share the business with Russia and Romania. It also confirms that the latter two origins still have wheat to sell, even if they were priced well over the winning French origin bid. That was at least $10/tonne under the other remaining FOB quotes out of France, and the different between those and the successful Black Sea quotes were much closer. Rosstat said that Russia had exported 16.8 MMT of grain in the Jan-Sep period, almost double the volume shipped out twelve months previously. Wheat accounts for 12.6 MMT of that total, with corn adding a further 2.4 MMT and barley an extra 1.5 MMT. Rusagrotrans forecast the Russian winter grains planted area at 16.3 million hectares, up more than 7% on last year. They said that this would be similar to the area planted for the 2008 record harvest, although obviously there's a long way to go yet. Nevertheless, they became the first analyst to dip their toe in the water of 2015, issuing a preliminary grain production estimate for next year of 96-104 MMT. A sharp cold snap is now in the forecast for Russia (and Ukraine) this week. There's some chatter that although the winter crop has been sown in a timely manner, development has been retarded due to lack of moisture. That's only arrived in the past week, leaving the crop little time to develop before these freezing temperatures come along. That could have a negative impact on production next year, although it's far to early to see this as a significantly bullish factor at the moment, it warrants keeping an eye on. The Ukraine wheat crop in 2014 totalled 23.7 MMT, say the Ag Ministry there, a 6.3% rise compared to last year. They say that the proportion of the crop suitable for milling is only 54% versus 75% a year ago. They see wheat exports in 2014/15 at 11.76 MMT, a 28% rise year-on-year. Agritel say that the Ukraine corn harvest is progressing quickly and has now reached 15.4 MMT. A crop of 27 MMT is expected this year, according to the Ukrainian Agrarian Confederation. 21/10/14 -- Soycomplex: Beans closed sharply higher on disappointment that the US harvest had only advanced 13 points in the past week to 53% complete as of Sunday night. The weather forecast for the week ahead has now developed a wetter look to it, which was also seen as a bullish factor today. "The weather forecast is warming. The US heartland would experience temperatures that would be 7-12 F above normal. This would indicate mid to upper 60s F for highs and mid-upper 40s F for lows. On the negative side, significant rainfall is predicted that would further disrupt harvesting in a wide swath of the farm belt. Heavy soaking rain would target Missouri, Iowa and Wisconsin, up to 1 – 1.25 inches, but locally more. Moderate rainfall 0.50 to 0.75 inch is predicted in northeast Nebraska, southern Minnesota and western Iowa," said Martell Crop Projections. Yesterday's strong weekly export inspections also lean friendly. So too is soybean plantings in Brazil running at the slowest pace in 6 years. It now looks unlikely that they will be active in the new crop export market until February. Nov 14 Soybeans closed at $9.64 1/4, up 20 cents; Jan 15 Soybeans closed at $9.71 3/4, up 19 1/2 cents; Dec 14 Soybean Meal closed at $342.90, up $13.50; Dec 14 Soybean Oil closed at 31.76, up 6 points. Corn: The corn market closed around 7-8 cents higher. The same weather problems that are plaguing the US soybean harvest are also leaning supportive for corn. That harvest is even further behind than it is for beans. "Just 31% of corn was harvested up to October 19 compared to a 55% average the past 28 years. Northern Midwest corn has been slow to mature, contributing to harvesting delays. Corn was only 75% ripe in Wisconsin and Michigan in USDA’s most recent crop progress report," said Martell Crop Projections. The lack of progress in Brazil with soybean plantings could have a knock-on, and negative, effect with the size of the safrinha corn crop for 2015 some are saying. Russia said that it had harvested 8.8 MMT of corn off 73% of the planned area. Yields are down at 4.56 MT/ha compared to 5.29 MT/ha a year ago. APK Inform lowered their estimate for this year's Russian corn crop by 5.6% to 11.7 MMT. The Ukraine Ministry reported that the corn harvest there was 60% done on 2.8 million hectares, producing a crop of 14.77 MMT to date. The Ukrainian Agrarian Confederation estimated corn production there at 27 MMT versus 30.9 MMT a year ago. Fund buying was estimated at a net 8,000 lots in Chicago today. Dec 14 Corn closed at $3.56, up 7 3/4 cents; Mar 15 Corn closed at $3.69 1/2, up 7 3/4 cents. Wheat: The wheat market closed firmer, but well off session highs. Egypt's GASC bought one cargo each of French, Russian and Romanian wheat. The French offer booked was easily the cheapest at $234.44/tonne FOB. It was noted however that this appeared to be a "one off" particularly aggressive offer, as the next cheapest French material was $10/tonne higher than this. At the end of the day however one 60 TMT cargo of wheat isn't going to make much of a hole in the full up French futures stores in Rouen. Russia said that it had now harvested 94% of its 2014 wheat crop, producing 60.9 MMT in bunker weight so far. Rusagrotrans trimmed their forecast for the 2014 Russian grain harvest from 104 MMT to 103.7 MMT in clean weight due to "extreme weather conditions in the eastern regions" saying that bad weather in the Urals will lead to significant yield losses there. Plantings for the 2015 harvest in Russia are 98% done, according to the Ag Ministry. 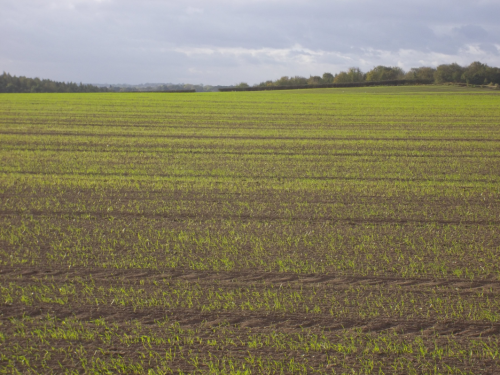 Rusagrotrans forecast the final winter planted area at 16.3 million hectares versus only 15.2 million a year ago when adverse weather prevented some fields from getting sown until the spring. Crop conditions there currently don't look great, I hear. Things are better in Ukraine though, where winter wheat planting is 96% complete. Dec 14 CBOT Wheat closed at $5.19 1/4, up 5 3/4 cents; Dec 14 KCBT Wheat closed at $6.02 1/4, up 1 1/4 cents; Dec 14 MGEX Wheat closed at $5.69, up 2 1/4 cents. 21/10/14 -- EU grains closed higher. Nov 14 Paris wheat again posted better gains than the deferred contracts, as seemingly more shorts get squeezed out. The Nov 14/Jan 15 differential was EUR4.50/tonne on Friday when the increased front month margin calls were announced, and tonight that's narrowed to EUR2.75/tonne. Certainly there will be some shorts on the Nov 14 London contract intending to delivery against it, as thankfully we have more than a just couple of futures stores here in the UK! Nov 14 London wheat finished up GBP1.00/tonne at GBP116.50/tonne, Nov 14 Paris wheat was up EUR4.25/tonne at EUR164.00/tonne, Nov 14 Paris corn was EUR1.50/tonne higher at EUR142.50/tonne and Nov 14 Paris rapeseed rose EUR2.50/tonne to EUR320.25/tonne. Yet again fresh news was relatively hard to find. The USDA reported late last night that the US 2014 corn and soybean harvests weren't as advanced as many had expected at 31% and 53% done respectively. The forecast for the week ahead is conducive to some decent progress being made between now and next Monday's report however. There's already talk of some US farmers considering leaving their corn in the field over winter, given current low prices. UK farmers have been a bit more active in selling wheat following the recent rally from 4 year lows. "If you want wheat, you can get it," one trader told me today. The question is "who wants it?" The sharp rebound in wheat production this year means that the UK is presented with a bit of a dilemma. Domestic demand is only so so at the moment, certainly from the feed manufacturer's perspective. Lower milk and beef prices and an assortment of cheap alternatives have seen to that. There's also an abundance of on farm fodder stocks for later in the winter. "There’s only so much that can be absorbed by domestic demand, and a strong export programme for wheat and barley will be needed to avoid a large carryover into 2015/16," say the HGCA. Make that a very large carryover, as of the anticipated 3.3 MMT surplus left over for export or to be carried into next season, only 142 TMT had actually been shipped abroad by the end of August (the most recent figures available). Whilst an increase in demand from the bioethanol sector is widely anticipated in 2014/15 (up 7% according to Defra), that's only part of the story. "When it comes to bioethanol gross margins, there’s another side of the coin that needs to be considered. Ethanol prices have also been in decline as global demand has been unable to keep up with supply," the HGCA note. Demand, or the lack of it, for the DDGS produced by these plants is also another factor to consider. This is also an industry that's been habitually plagued by operational disruptions in its relatively short history, so continuing to run at anything like "full steam ahead" for the entire season might also prove to be a challenge. In other news, the Ukraine Ministry reported that the corn harvest there was 60% done on 2.8 million hectares, producing a crop of 14.77 MMT to date. Yields are averaging 5.28 MT/ha, if they continue to do so then they'll end up with a crop of 24.6 MMT, which would be 20% down on last year's record 30.9 MMT (using the USDA's estimate for production in 2013). The Ukrainian Agrarian Confederation estimated corn production there at 27 MMT today. Ukraine has also harvested 9.16 MMT of sunflower off 94% of the planned area, along with 3.19 MMT of soybeans, off 87% of the expected area. Winter grain plantings are nearing completion in Ukraine at 92% done on 6.9 million hectares. Wheat accounts for the vast majority of that at 96% done on 5.9 million ha, with barley adding a further 779k ha (73% of plan). APK Inform lowered their estimate for this year's Russian corn crop by 5.6% to 11.7 MMT, although that's still just about a record crop, as it's slightly ahead of last year's production of 11.6 MMT. The Russian Ministry said that this year's corn harvest was now almost 73% done, producing a crop of 8.8 MMT so far. Yields are averaging 4.56 MT/ha so far versus 5.29 MT/ha a year ago. That suggests a final bunker weight crop of a little over 12 MMT this year. Ag Canada estimated Canada’s 2014 wheat crop at 27.49 MMT versus previous estimate of 27.71 MMT, a drop of more than a third on last year's bin buster. 20/10/14 -- Soycomplex: Beans closed lower, but towards the middle of the day's trading range. The USDA reported that the 2014 US soybean harvest was 53% done, up from 40% a week ago, but perhaps not as much progress has been made this week as the trade expected. The 5-year average for this time is 66% done. Crop condition ratings were unchanged from last week at 73% good to excellent. The forecast for the week ahead is largely friendly for decent progress to be made. Weekly export inspections were very strong at almost 2 MMT. Year to date inspections are now 123% of what they were a year ago. Growers in Brazil are still waiting for rain, particularly in the leading soybean producing state of Mato Grosso. AgRural said that plantings in Brazil are only 10% done, versus 19% a year ago and 20% for the 5-year average. That's the slowest pace in 6 years, they said. It is also only an advancement of 3 points on a week ago. It is also thought that some of what has been sown will fail and need to be replanted. Rains are finally on the way though. "Strong showers and heavy rainfall are predicted this week in Mato Grosso, Brazil’s largest soybean state. The rainy season in the tropics was slow to develop this month, but is predicted to kick into high gear as 1.5-2.5 inches of rain is projected in the next 5 days October 20-25," said Martell Crop Projections. Nov 14 Soybeans closed at $9.44 1/4, down 7 1/2 cents; Jan 15 Soybeans closed at $9.52 1/4, down 7 1/2 cents; Dec 14 Soybean Meal closed at $329.40, down $1.10; Dec 14 Soybean Oil closed at 31.70, down 32 points. 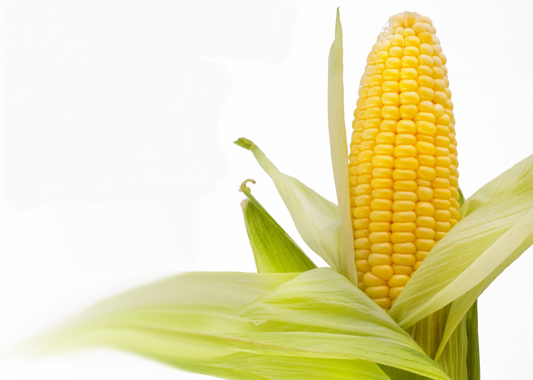 Corn: The corn market ended with small gains, and at the upper end of the daily trading range. US farmers appear to be concentrating on the soybean harvest, rather than that of corn. The USDA reported the 2014 US corn harvest at 31% complete, up only 7 points on a week ago and well behind the 5-year average of 53% done at this time. Crop conditions were left unchanged at 74% good to excellent. Maturity was up six points on last week at 93%, in line with the 5-year average of 94% at this time. The forecast for the week ahead is friendly. "Harvesting of corn and soybeans is expected to make excellent gains in the week ahead. While some rain is predicted it would occur in some of the driest areas of the Midwest, the Upper Midwest, while drying dominates elsewhere, allowing the harvest to advance," said Martell Crop Projections. "Many areas continue to report big yields, while there are a few areas reporting disappointment compared to expectations," said Benson Quinn Commodities. Weekly export inspections were a bit disappointing at 717,605 MT, down versus last week and this time a year ago. Dollar weakness today may have added a bit of support to the grains sector. Dec 14 Corn closed at $3.48 1/4, up 1/4 cent; Mar 15 Corn closed at $3.61 3/4, up 1/2 cent. Wheat: The wheat market closed lower across the three exchanges. Weekly export inspections were ho hum at 481,878 MT. Cumulative wheat inspections are now only about two thirds of what they were a year ago. 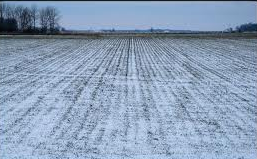 The USDA reported US winter wheat plantings at 76% complete, one point behind the 5-year average. Emergence is at 56%, six points ahead of the 5-year average, and up 13 points on a week ago. The Russian Ag Ministry reported the 2014 grain harvest there at 93.5% complete at 105.7 MMT. That includes 93.6% of the wheat area, producing a crop of 60.7 MMT in bunker weight so far. Plantings for the 2015 harvest are approaching 98% done on 16.1 million hectares. "Key winter wheat areas in southern Russia and Ukraine have received beneficial soaking rainfall in the past month, improving field moisture for winter wheat planting. The subsoil remains very dry, however. Summer drought was intense in South Russia's top winter wheat districts, depleting field moisture for wheat planting this fall. Pockets of Krasnodar and Stavropol received only 20% of normal summer rainfall. It would require 60-75 mm of rainfall to fully replenish soil moisture," said Martell Crop Projections. Egypt tendered for wheat for Nov 21-30 shipment late in the day. Dec 14 CBOT Wheat closed at $5.13 1/2, down 2 1/2 cents; Dec 14 KCBT Wheat closed at $6.01, down 3/4 cent; Dec 14 MGEX Wheat closed at $5.66 3/4, down 3 3/4 cents. 20/10/14 -- EU grains ended the day lower, pressured by falling US futures levels in expectation that good progress has been made over the weekend with the US corn and soybean harvest. The weather forecast for the week ahead is also friendly. A firmer sterling had London wheat under a bit of extra pressure. Across the Channel, Nov 14 didn't fare as badly as the more further forward Paris wheat contracts did. That might mean a few people are getting squeezed out by the increased, and unexpected, margin call requirements announced on Friday. The day ended with Nov 14 London wheat down GBP0.95/tonne to GBP115.55/tonne, Nov 14 Paris wheat closed EUR0.25/tonne lower at EUR159.75/tonne, Nov 14 Paris corn was down EUR1.50/tonne to EUR141.00/tonne, whilst Nov 14 Paris rapeseed was EUR4.25/tonne easier at EUR317.75/tonne. Fresh news to start the week was fairly scant, whilst the trade is expecting good harvest progress to have been made in the US over the weekend we won't have the USDA's actual take on things until tonight. The Russian and Ukraine 2014 harvests, and winter plantings for 2015, aren't just winding down - they're entering the final furlong. The recent benign weather conditions are seen changing in the week ahead. "Some morning frost will be observed in the Moscow region tomorrow and should gradually reach Southern Russia and the Ukraine at the end of the week," said Agritel. "Under these conditions, the (winter) crops will have only limited time to profit from the humidity of the last weeks," they added. Wheat accounted for 344.5 TMT of that total, with barley 132.1 TMT and corn 212.4 TMT. It is interesting to note that whilst the overall volume exported was little changed, corn had a much larger slice of the cake last week compared to the week prior. In percentage terms, wheat exports were 50% of the net volume shipped last week, down from 77% the previous week. Barley's share held steady at 19%, but corn accounted for 31% of last week's exports versus only 4% the week previously. That would appear to indicate, as expected, that Ukraine's grain exports will soon start to major on newly harvested corn. APK Inform also said that domestic consumption of grain in Ukraine will fall this season, leaving potentially more available for export. Wheat consumption will fall 2.7% to 12.9 MMT (compared to the official forecast of production this year at 24.55 MMT), barley consumption will increase 4% to 5.6 MMT and corn usage will drop 9% to 9.6 MMT, they estimated. The reason for the decline in domestic wheat usage is the reduced quality of this year's crop leading to a decrease in flour production. UkrAgroConsult said last week that only 58% of this year's Ukraine wheat crop is up to milling standard versus 75% a year ago. With the Ukraine Ministry steadfastly predicting a record grain crop for the second year in a row this year, all this potentially points to an increase in exports of feed wheat and corn for the Black Sea nation in 2014/15. They say that they are already in negotiation with Europe for a second round of duty-free export quotas to the EU for both grains, which they hope will begin Nov 1. Russia meanwhile continue to major on wheat exports. Their Ag Ministry say that they exported 1.77 MMT of grains in the first half of the month, including 1.28 MMT of wheat (72% of the total), 314 TMT of barley and 158 TMT of corn. That takes the cumulative 2014/15 total to Oct 15 to 13.3 MMT, a 33% increase on a year ago. That consists of 11.13 MMT of wheat (over 83% of the total), 1.61 MMT of barley and 468 TMT of corn. Rosstat said that Russian wheat stocks as at Oct 1 were up 30.8%, with barley inventories rising 52.2% and those for corn 210% higher. On the international tender front, Jordan are said to be in for 100 TMT each of optional origin wheat and barley for Apr-May shipment. In rapeseed news, Oil World were said to have pegged this year's EU-28 crop at a record 23.98 MMT, a 12.5% increase on last year. Top producer here is Germany, who's crop is up 8.5% at 6.27 MMT, followed by France with 5.51 MMT (up 26%), Poland with 3.1 MMT (up 15%) and the UK in fourth at 2.41 MMT (up 13%).